The Bookcases 8 Shelf Geometric Bookcase by Coaster from Nashco Furniture - Nashville. We proudly serve the Nashville, Franklin, Brentwood, Clarksville, Green Hills, Davidson County, Williamson County, Tennessee area. Product availability may vary. Contact us for the most current availability on this product. This collection of bookcases offers endless options for storage and display in your home. With many different styles, materials, sizes, and finishes available, there is sure to be an option that will fit your needs. Store books, and show off decorative items in your hallway, home office, living room, or other space. These stylish storage solutions will spice up your home, adding a personal touch to your space, for the perfect completion to your home ensemble. The Bookcases collection is a great option if you are looking for furniture in the Nashville, Franklin, Brentwood, Clarksville, Green Hills, Davidson County, Williamson County, Tennessee area. 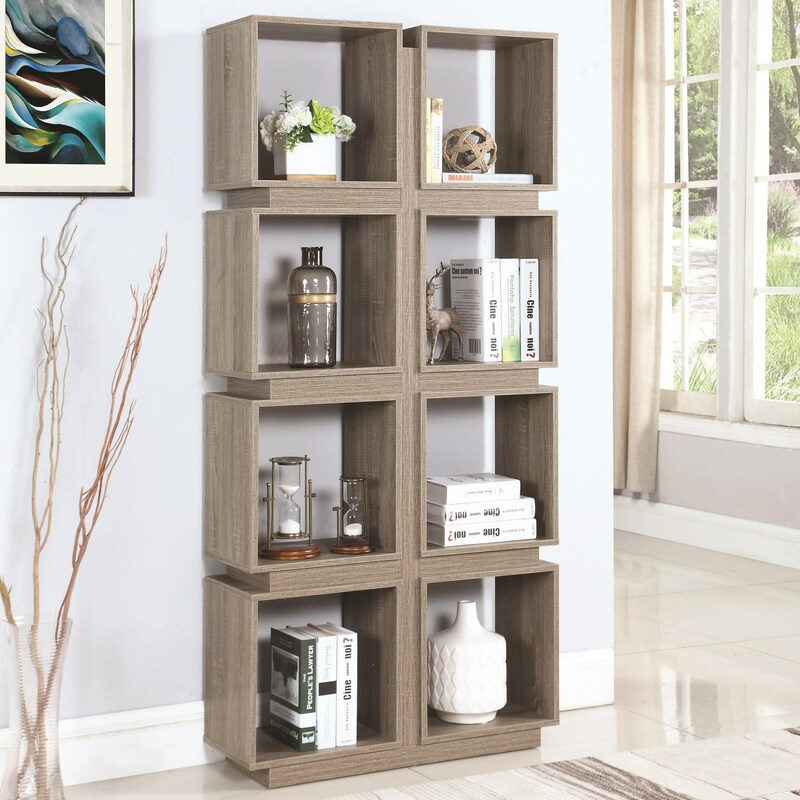 Browse other items in the Bookcases collection from Nashco Furniture - Nashville in the Nashville, Franklin, Brentwood, Clarksville, Green Hills, Davidson County, Williamson County, Tennessee area.